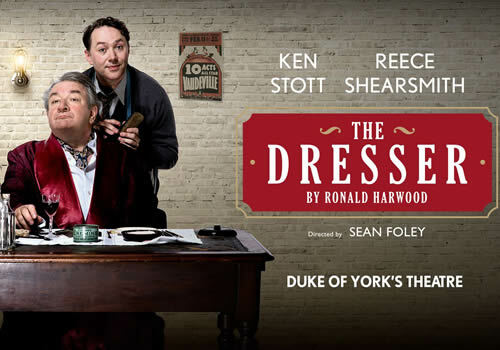 Sean Foley revives Ronald Harwood’s much-loved The Dresser at London’s Duke of York’s Theatre. 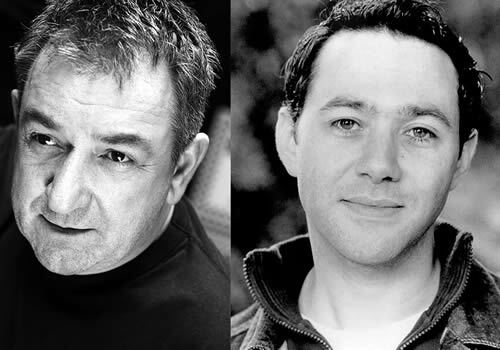 Following his recently acclaimed adaptation of The Painkiller, starring Kenneth Branagh and Rob Brydon at the Garrick Theatre, Foley directs award-winning actors Ken Stott and Reece Shearsmith in this heart-breaking play, set to open in October. First performed in the West End in 1980, The Dresser has since been made into a successful 1983 multi-award winning film, starring Albert Finney and Tom Courtenay. The Dresser follows the touching story of an ageing actor and his long-suffering dresser as they attempt to keep the curtain up at a struggling regional theatre during wartime. Directed by Foley, Ken Stott and Reece Shearsmith star as the determined duo. BAFTA-winning stage and screen actor Stott has starred in countless West End shows, including The Recruiting Officer and A View from the Bridge and multiple productions at the National Theatre, as well as featuring in films such as Peter Jackson’s The Hobbit. In 2005, Stott received an Olivier Award for Best Actor in a Supporting Role for Broken Glass. Olivier-nominated Shearsmith is also a West End veteran, featuring in productions such as Absent Friends, Betty Blue Eyes and Ghost Stories. He has also been involved in multiple film and television productions, including Shaun of the Dead. The Dresser is revived by Olivier Award-winning Foley, who received the accolade for Best Comedy for his 2002 The Play What I Wrote. Further works include Jeeves and Wooster in Perfect Nonsense, which received Best New Comedy, as well as What The Butler Saw and I Can’t Sing! at the London Palladium. Opening with previews at the Duke of York’s Theatre on October 5th, The Dresser is set to have an official opening on October 12th 2016. The Dresser may not be suitable for young children.